Shortly after the Roman invasion of AD43 a major road was constructed which ran from Chichester to Silchester passing through Woolmer and Oakhanger. There is evidence for the existence of villas at Blackmoor, Kingsley and Liss, though no doubt the majority of people continued to live in native style roundhouses. A small town grew up just to the east of Holybourne and perhaps acted as the local 'shopping centre' a short way along the roman road from Oakhanger. Nationally important coin hoards have been found at Blackmoor (in 1873), and Woolmer Pond (in 1740-41 and 1774) and a smaller hoard was found at Hogmoor (in 1875). The Blackmoor hoard consisted of 29,773 coins dating to around AD 296. 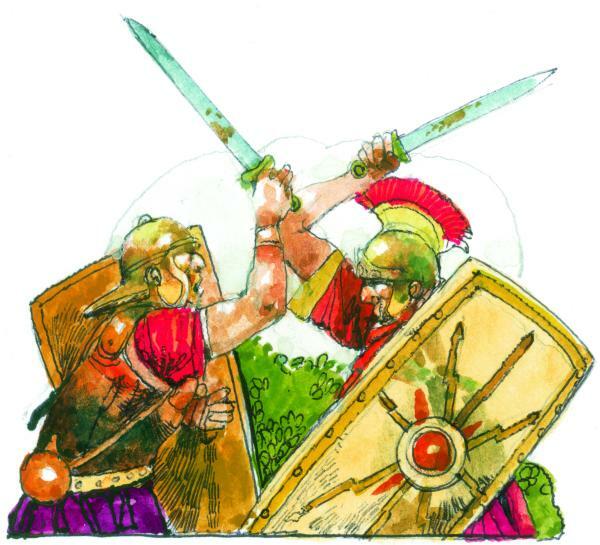 A battle in that year, probably at Woolmer, saw the troops under Emperor Constantius Chlorus defeat the army of the usurper Allectus to retake control of Britain. 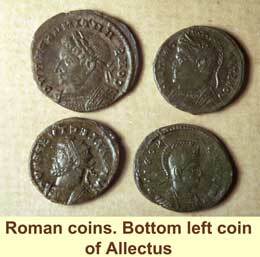 The hoard may have been the paychest for Allectus's troops abandoned after their defeat. Another nationally important local find was highly coloured Blackmoor Beaker (Selborne Cup), found in a cremation burial urn at Blackmoor. 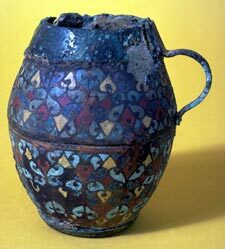 Apart from agriculture there was a major roman pottery industry in the Alice Holt Forest and around Kingsley, which supplied the capital Londinium (London) with the majority of its cooking pots in the 3rd and 4th centuries. There is no evidence for a violent end to the roman occupation of the area and the economy seems to have collapsed as a result of a shortage of coins when the official supply ceased.